Hamilton clinched victory at the Bahrain GP as a failure with an engine component cruelly denied Leclerc his first victory in the sport and Ferrari. Bottas also gained from Leclerc's misfortune to make it another Mercedes 1-2 in the early stages of 2019. Leclerc conversely benefited from a late safety car, allowing him to limp home in third. Vettel spun out of contention after his battle with Hamilton, consoling him to 5th place. A superb drive from Norris saw him finish as best of the rest in 6th, ahead of the consistent Raikkonen in the Alfa Romeo. Gasly came home in a rather disappointing 8th in the Red Bull, he'll need to improve his results before too long or questions will be asked. Last season the Chinese GP provided plenty of entertainment as Ricciardo stormed through the field to take victory in the Red Bull. The 2 Finns followed, with Bottas ahead of Raikkonen - resulting in each of the 3 main constructors being represented on the podium. This year's race plays host to the milestone 1000th GP, expect fireworks and extra motivation from the teams to deliver a strong result on the big occasion. 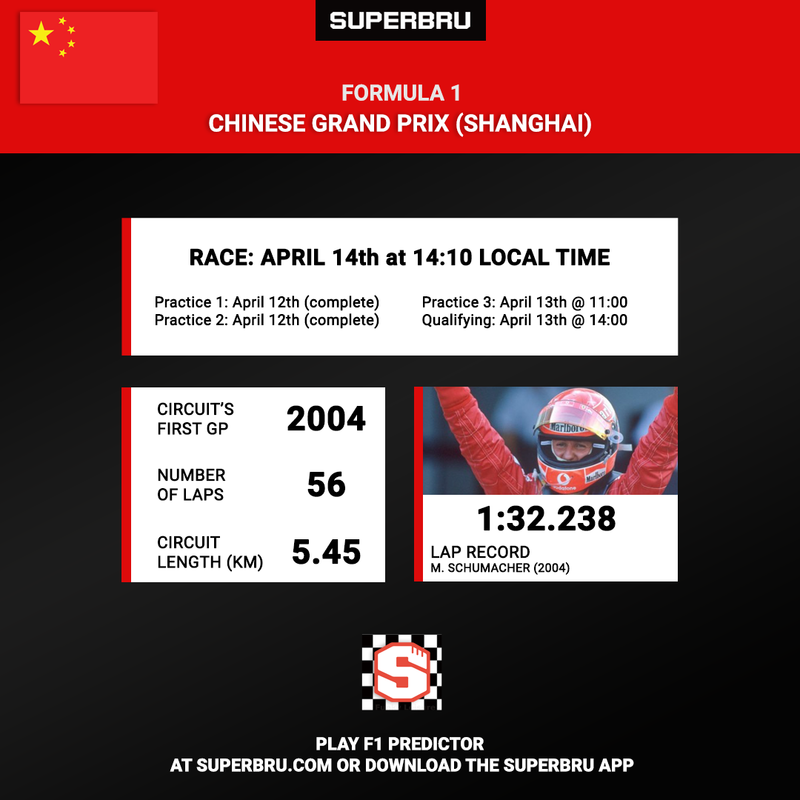 Remember to make your F1 Predictor and F1 Fantasy picks. Good luck with those picks and enjoy the landmark race!